My first introduction to the Martial arts (except the usual Kung Fu Movies) was in 1985 when I attended a few Aikido classes at a local community Centre. I really enjoyed them (who doesn’t love Steven Segal) but wanted something my wife could also be involved with and due to her bad back, we had to rule this out. Next I tried ‘Kung Fu’ only to find the teacher wasn’t actually that good and had combined a little Karate and Wing Chun. Disheartened, I looked everywhere I could think, even night school classes. Never really fancied Karate and that seemed to be all that was on offer at the time…. Jenny noticed Tai Chi popping up in the night schools a lot but knew nothing about it. Rather than just sign up this time we read Danny Conner’s book on Tai Chi. THIS IS IT..!! Wow… Tai Chi seemed to offer everything I had hoped from a martial art… Now came the search…..
As Yang Cheng Fu said “Not all Tai Chi is the real Tai Chi”. I was amazed at what was out there purporting to be this wondrous art I was looking for. Of all the schools I investigated, only a handful came close. I even gave a couple a go but they all fell short of the mark for me. A few years later I found Nigel Sutton’s Zhong Ding school and felt I had come home. First of all I trained when I could due to the distances then I trained monthly at his Tai Chi, Hsing I and Bagua sessions in Manchester hosted by John Higginson. Next I trained more and more with John until I became a closed door student and started training in Malaysia and Singapore in 1990/91. In my subsequent yearly visits, I trained intensively with Tan Ching Ngee in Singapore, Ko Ah Tee in KL, Malaysia, Wu Chiang Hsing in BP, Malaysia, Liang He Ching in Muar, Malaysia and Tan Seow Theng in JB. Malaysia. I was hooked, and luckily had a very understanding wife. 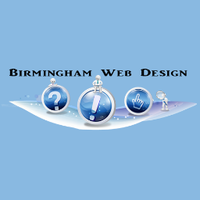 Nigel and John asked me to open a class in Birmingham in 1992. Although I did not feel my standard was yet good enough I did so; on the plus side it meant that they both had a venue to teach workshops in Birmingham and I had the opportunity for extra training. From mid ’93 to ’95 I was acting head of Zhong Ding (while Nigel was out of the country). We held regular meetings and ran a camp in Torquay, which was very successful. Unfortunately things never stay the same, this is the nature of the world… In 1995 I split with Zhong Ding following personal difference with John Higginson. 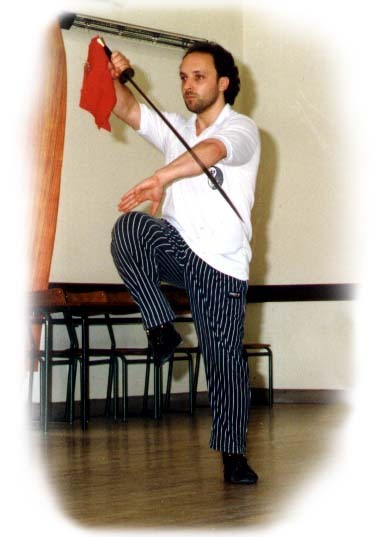 Although the split was a painful thing, Nigel gave me his permission to keep teaching, this is when we set up the ‘Kai Ming Association for Taijiquan’. Kai Ming means open-minded and that was our mission statement. We do not want to teach other martial arts only Tai Chi (taiji) and would explore any avenues open to use to get to the essence of our art and evolve. Due to my discipleship I still have links to our teachers in Asia and have bought Master Tan Ching Ngee to the UK on a number of occasions. We compiled a curriculum for Kai Ming and were accepted as full members of the BCCMA. I have subsequently been given the post of regional officer for the BCCMA and the TCUGB. We follow traditional values and still keep to the discipleship system, although a little less dogmatic. In 1998 I was invited to head the British Team and compete in Taiwan. That year I had also arranged a training trip to China; Garry Clarke headed this due to my Taiwan commitment. We had a great time, won many medals and were introduced to many of Cheng Man Ching’s Disciples. Tan Ching Ngee formally introduced me to William CC Chen, which served to reinforce our previous meeting. I was invited to the World Tai Chi Federation meeting and introduced to many dignitaries. But the biggest surprise was when I was asked to be vice-president alongside William Chen. As I was the only non-Chinese this was a great honour for our association and me. Following a successful career both competing and judging Tai Chi nationally and internationally, I decided to stop for a while and focus my efforts purely on the development of Kai Ming and my understanding of our art. I have subsequently trained with a number of teachers of which I count Peter Ralston and Willie Lim as the most influential. 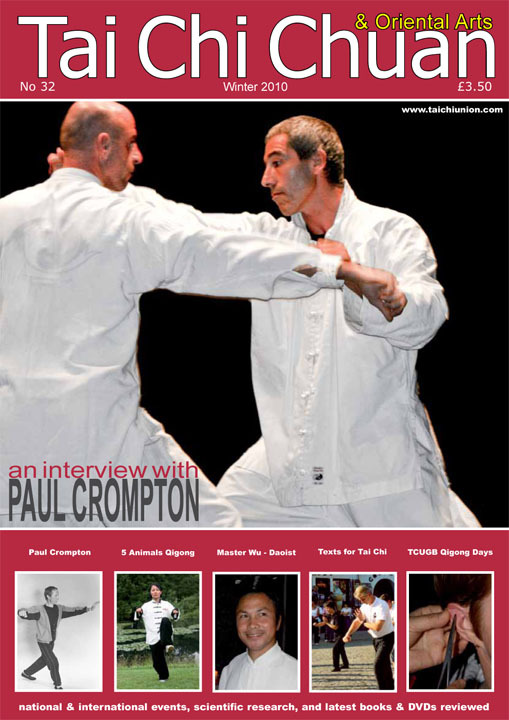 We have written articles for most of the martial arts and Tai Chi journals in the UK and US and have produced a series of videos/DVDs that sell successfully nationwide. We also have a book currently in editing. I have taught workshops at a number of other Tai Chi groups and the Kai Ming Association has grown to include two of these groups. As my research into the art and understanding of body/mind work has grown, I have developed a ‘Tai Chi for falls prevention’ program. This has been successfully delivered to a number of Primary Care Trusts (PCT’s) across the Midlands. Following this I was asked to give a talk and demonstration, at the NHS AGM in Birmingham, by the Director of Public Health. I have also been asked to lead a workshop for Tai Chi Forum for Special Needs. We have appeared on a number of TV programs including Doctors, which is a BBC daytime series (filmed at Pebblemill). As you can see Kai Ming and I have evolved, as is the nature of things. This natural ebb and flow prevents any stagnation and is essential for future development. Many students/instructors have been with me since the beginning and have helped the association develop immensely. As the general publics awareness of Tai Chi Chuan increases I see it flowing into more and more of our daily lives. We are fortunately to be involved in these critical years. When I started training little was know or easily accessible to the general public. The internet, cheaper international travel and the media have opened up the world. 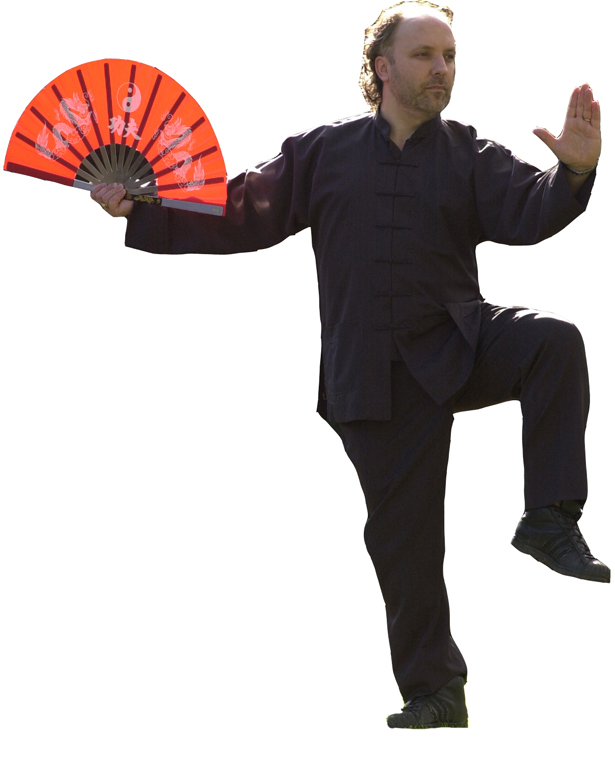 There are still a number of people out there teaching an infinite number of systems purporting to be real Tai Chi but we now have the information available to be more discerning. I intend to keep developing my art, not to stand still; I will further my training in Asia and my exploration of Tai Chi’s many facets. 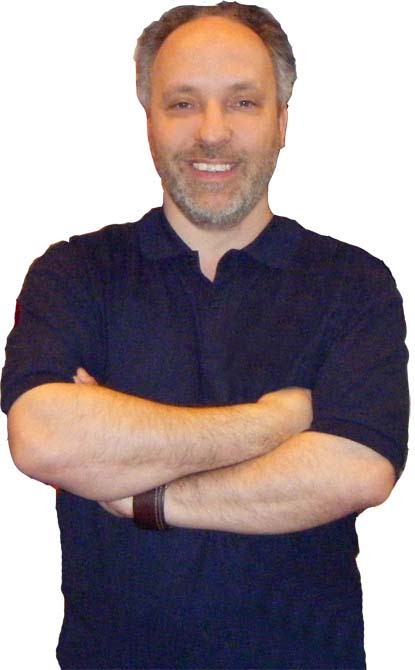 To widen my experiences I have trained in hypnotherapy and as an NLP trainer. This has helped me deepen my understanding of the martial spirit, people’s beliefs and values and improved my teaching/communications skills. The journey continues, watch this space…..